There are no comments for A Great Horned Owl's Wide Eyes. Click here to post the first comment. 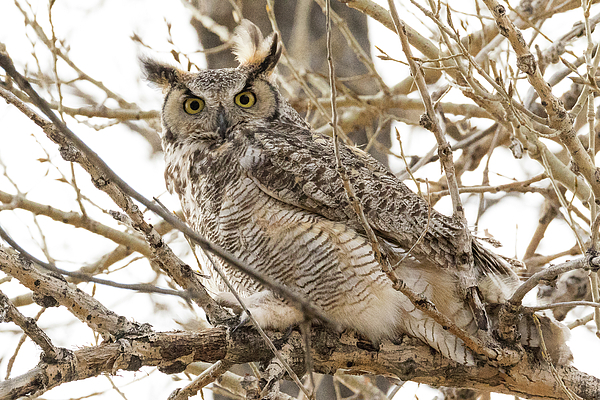 A wide-eyed Great Horned Owl keeps close watch in Thornton, Colorado. 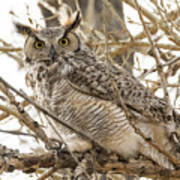 These owls are common across all of North America and are the type of owl often depicted in storybooks. 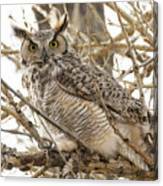 During the day they are usually sleeping but at night they come alive and hunt with amazing accuracy in the dark.